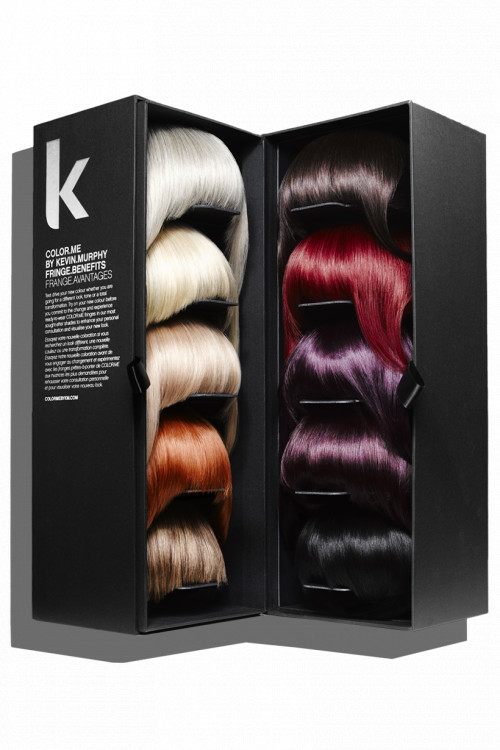 Exclusive to COLOR.ME BY KEVIN.MURPHY, FRINGE.BENEFITS is a fun and fabulous way for your clients to ‘try-on’ our most sought after shades. Leading the way with innovation, our colour consultation tool takes the hard work out of selecting just the right hue. Colour consultations become a highly personalised preview when you offer our range of premium fringes for the client to try…before you dye!